← What Would You Ask For? The proof is in the pudding. I have no idea what that phrase means. But I like it. And I think I know what it means, just not where it came from. 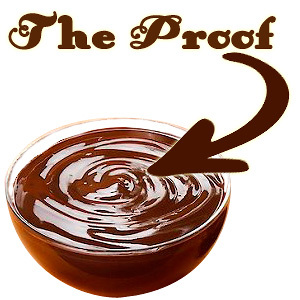 In life, and in faith, the proof is in the pudding. What Jesus wants for us and from us is not just for us to talk about our faith, but for us to live out our faith each day of our lives. Our faith must move from something that is in our mind or in our heart to something that in our hands and in our feet. Our faith must be an active thing. A thing that calls us. Pushes us. Changes us. To love, serve, and forgive just as Jesus would. We’ve talked a lot this week about wisdom. Today we see this encouragement (i.e. calling and command) – show it. Don’t just talk about wisdom. Let your wisdom be reflected in your works. In your words. In your conduct. In your meekness. But, if we have lives and hearts full of jealously. Or selfish ambition, be careful. Don’t boast about our wisdom. Don’t claim to be more than we are. Be humble. Be meek. Be wise. Depend upon Him. Live for Him. Serve for Him. Love for Him. Today, in our lives, the proof is in the pudding. Let’s not just talk about being faithful or being wise. Let’s do it. Let’s live it. Let’s be it! “Don’t claim to be more than we are. Be humble. Be meek. Be wise. Depend upon Him. Live for Him. Serve for Him. Love for Him.” Wise words, indeed.